We're letting a cartoon industry regulate the internet - the single most important infrastructure we have, which builds growth, jobs, civil liberties, and all future entrepreneurship. Why hasn't this been called out for its absurdity? So why are we letting this infrastructure get regulated by a cartoon industry? This is not just figurative: we quite literally are. The Walt Disney Corporation has been instrumental in lobbying for limiting the utility of the net, taking leadership within the copyright industry at large. It’s no random chance that the latest copyright monopoly extension in the United States was called “The Mickey Mouse Copyright Extension Act”. The notion that the copyright industry’s distribution monopoly is somehow more important to society than the super-infrastructure we call the Internet is not just laughable; it’s absurd and bizarre. And yet, the latter is being limited to appease and safeguard the former, instead of the other way around. Of course, it’s easy to speak of the copyright industry as a cartoon industry in the figurative sense, too. It’s hard to find an industry that’s exaggerating its own importance more while failing at its core business more at the same time. Policymakers have completely failed in realizing what the growth engine in society is today, and are letting a completely irrelevant industry negate it from the sidelines. This is not just baffling but limits growth, jobs, and future entrepreneurship. For a tangible example of this, observe how Linux- and Unix-based computers now have a market share of over 50% both on the client and server sides. 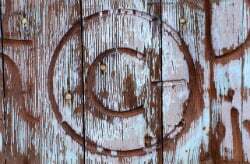 In other words, over half of our service offerings and the consumption of them – across all categories – are now dependent on technology which was written in defiance of the copyright monopoly, and which states outright that the copyright monopoly is a problem at best and absurd at worst. It’s more than time we saw the cartoon industry for the cartoon industry they are, and kick them out of making policy for critical infrastructure. Quite regardless of whether they like being kicked out or not, and especially regardless of what they think of the policies we need for the Internet instead of the ones they want.